HSS can supply a full range of adaptors according to our customer’s requirements. 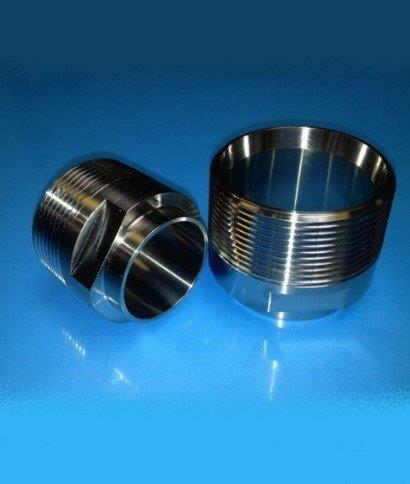 Our adaptors are available in polished OD/ID and unpolished OD/ID. We can weld any combinations of adaptors in our in-house Fabrication facility. Other combinations available with all ends listed as follows: IDF, SMS, DIN, Clamp, ILC Flange, IBC, Weld and ACME adaptors. All are available in 316L. 304 is also available. They are available in various sizes from ½” to 12” – DN10 to DN300. A full range of ASME BPE adaptors is also available. • Materials: Available in AISI 304 (1.4301) and 316L (1.4404) stainless steel. • Specifications: BS, SMS, DIN, US 3A, ISO, ASME BPE. • Full material traceability is guaranteed during the manufacturing process. • Polished fitting are supplied wrapped in plastic ensuring optimum cleanliness. • Internal Bore: Fittings have a smooth, clean and crevice free ID. • Market leading quality products.